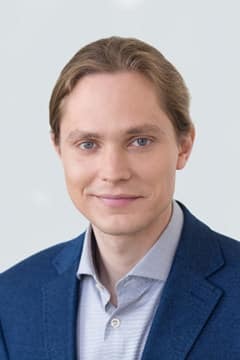 Jan Kraśko, Ph.D., has started his grownup research career in 2011, when he graduated from the Warsaw University of Life Sciences in Poland with Master Engineer in Biotechnology degree. He did internship in the National Institute of Public Health in Warsaw, where he gained knowledge of the daily routine of an analytical laboratory. He performed research in the National Medicines Institute, Laboratory of Virology, which is the only laboratory in Poland licensed to work with functional HIV strains; work there gave him confidence in his manual skills. He first came in contact with major league science during his project at Ghent University, Belgium, Department of Molecular Biotechnology, which led to his graduation with a Master Engineer degree in Biotechnology. Finally, he completed his Ph.D. research in Vytautas Magnus University and Center for Innovative Medicine in Lithuania. Through many internships and projects, Dr. Kraśko developed crucial skills in the field of GMP – related laboratory maintenance and quality systems. Dr. Kraśko pursues his interests in individualized anti-cancer therapy and autologous and xenogeneic anti-cancer vaccinations. Individualized anti-cancer therapy, autologous and xenogeneic anti-cancer therapy, regenerative cellular therapy and teaching. Flow cytometry, mammalian cell cultures, murine models, fluorescent microscopy, statistical analysis, working in the frame of GMP quality system. Identity, proliferation capacity, genomic stability and novel senescence markers of mesenchymal stem cells isolated from low volume of human bone marrow. Kundrotas G, Gasperskaja E, Slapsyte G, Gudleviciene Z, Krasko J, Stumbryte A, Liudkeviciene R. Oncotarget. 2016 Mar 8;7(10):10788-802. doi: 10.18632/oncotarget.7456.